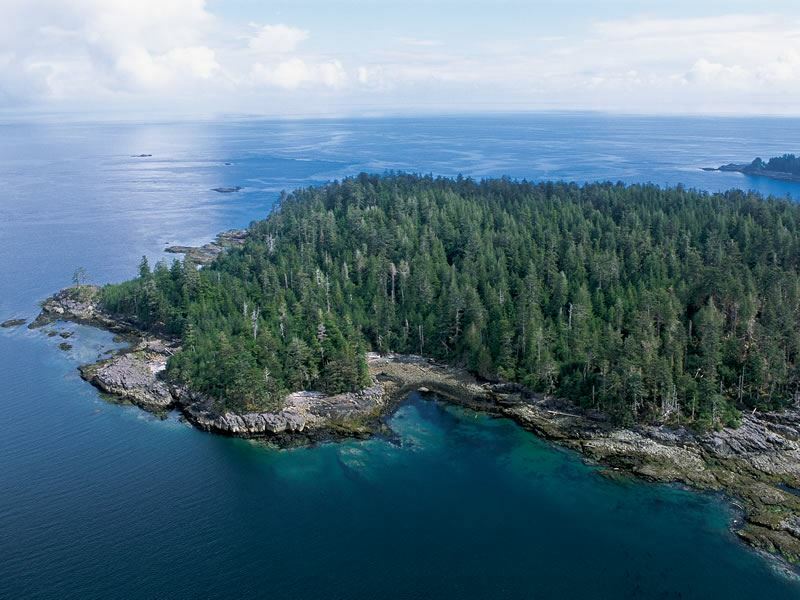 Canada’s own version of the Galapagos Islands, this archipelago off B.C.’s coast formerly called the Queen Charlotte Islands, are far less-visited but are home to a wealth of wildlife. Six of the 10 native land mammals in the islands are subspecies that can’t be found anywhere else on the planet. That includes the pine marten, dusky shrew, shermine and the unique Haida Gwaii black bear – the only species of bear that inhabits the islands. The bears have lived here for centuries, thriving on a rich diet of salmon and hard-shelled intertidal creatures that have resulted in larger teeth and jaws as compared to their counterparts on the mainland. In the waters that surround the islands, 20 species of whales and dolphins have been recorded. Humpback and grey whales’ spring migration routes pass through on the animals’ way north to their summer feeding grounds, while minke and orca whales, porpoise, harbour seals and Steller sea lions are regularly spotted. Fin, sei and other whale species can occasionally be seen, and there are nearly always bald eagles soaring in the skies above or perched among the trees, searching the water for their next meal. Haida Gwaii is truly a wildlife lovers’ paradise, with creatures witnessed from the shore, the skies and the water. Think everything from excursions in small zodiac boats and sailing cruises to helicopter tours and forest treks. But there are also a host of other adventures to be had in this unspoiled archipelago, many of which bring opportunities to view animals along the way. The southern third of Haida Gwaii is a protected nature reserve that’s home to lush forests and distinct wildlife that includes the rare Haidi Gwaii black bear. There are multiple ways to glimpse them, including helicopter tours. You’ll be able to take in a bird’s eye view of this unspoiled, rugged wilderness filled with giant red cedars, Sitka spruce, centuries-old totem poles and the unique creatures that are sometimes seen strolling through the trees or along the shoreline. Your pilot guide will point out many of the other highlights here as well. 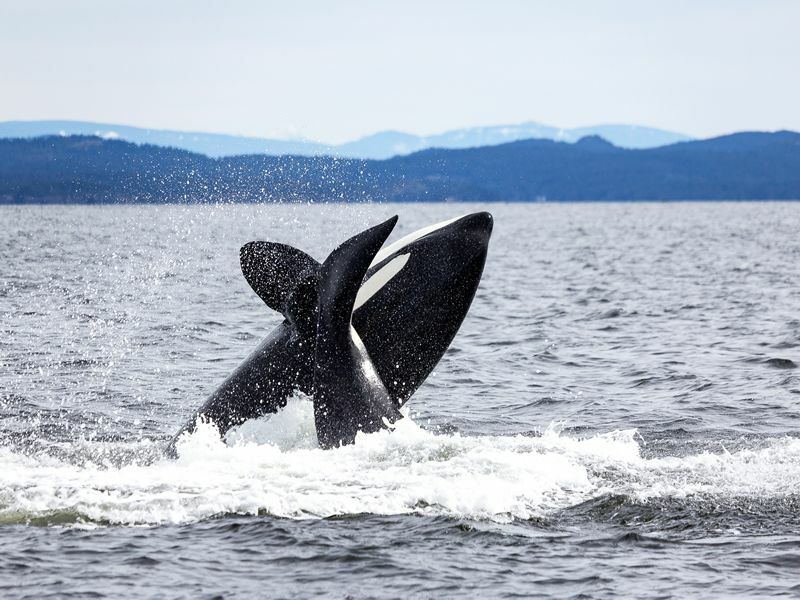 Treks through the lush forests, boating and sailing excursions, along with a host of other guided tours are available too, providing the unforgettable experience of witnessing these rare creatures in Haida Gwaii. Orca and minke whales are commonly seen throughout the Gwaii Haanas, along with porpoises, dolphins harbour seals, Steller sea lions, sei, fin, and other whale species. For the most intimate experience, get out in the water by joining a guided kayak trip. The east side of the islands offer prime paddling, with the southeastern section a favourite with kayakers thanks to its secluded coves, multiple tiny islands, and sheltered shoreline. The more adventurous may want to take a multi-day trip, paddling the nutrient rich waters watching for the minke, humpback and killer whales. You’ll also discover endless intertidal wonders, old growth forests, sea caves and even ancient Haida villages in the process. Seabird colonies, Stellar sea lions and seals are often glimpsed on route as well. Twice a day, the receding tide reveals all sorts of life, from mussels and periwinkle snails to chitons, limits and shore crabs that can be seen shuffling for cover. Look into the water, and If you lift up a clump of seaweed, you might discover that it’s served as the shelter for a young octopus waiting for the flood tide, while nudibranchs hide in the meadows of eelgrass. There are anemones in a variety of colours, schools of rockfish, leafy kelp forests and even giant pacific octopus. The islands are the ultimate playground for birdwatchers, with some 1.5 million seabirds nesting along Haida Gwaii’s shores, about half of which can be found in Gwaii Haanas. There are the always impressive tufted and horned puffins, Cassin’s auklets, ancient murrelets, rhinoceros auklets, fork-tailed storm petrels, pigeon guillemots and ore. Bald eagles, Peale’s peregrine falcons, pelagic cormorants, common murres and black oystercatchers also nestle along the coast. Dozens of migrating birds take a break here during the spring and fall as well. 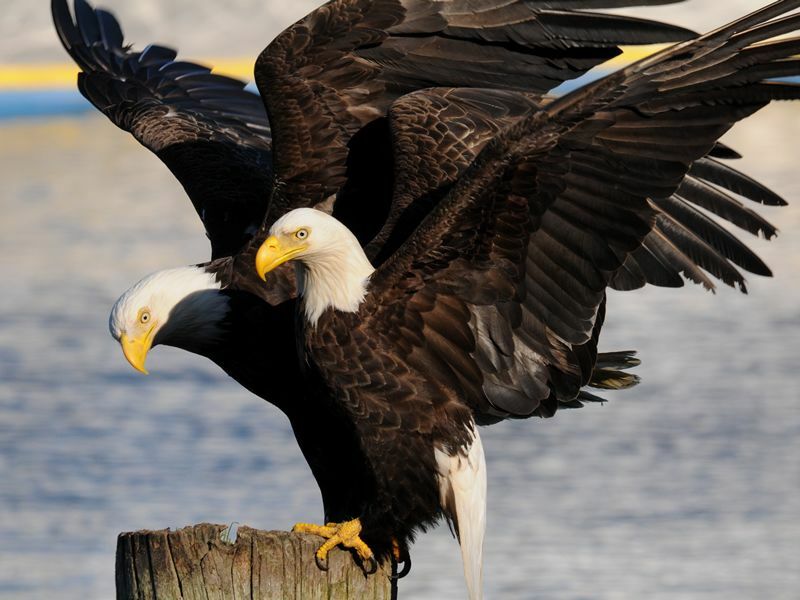 Bird watching is available throughout the year at Delkatla Wildife Sanctuary, which serves as the migratory home for approximately 140 various bird species. This chain of coastal wetlands is a critical feeding area during the spring and fall migration. You’ll find shoreline access viewpoints, viewing platforms, short walking paths and sandy beaches. Between late April and late May, you can see white-fronted geese, and in June and July, sandhills cranes feeding in the meadows. In fall and winter, green-winged teal and other ducks feed along the water’s edge. That’s just the beginning, there are a wealth of birds that can be marveled at year-round from any one of the three accessible viewing towers. Stop by the Delkatla Nature Centre for more information, and to view the marine, wildlife and plant displays along with opportunities to purchase souvenirs and gifts, including local art. Getting out on foot by hiking the trails in Naikoon Pronvicial Park provides the opportunity to take in breathtaking sights and a variety of wildlife on land, in the water and the skies above. Sitka black-tailed deer were introduced about eight decades ago and have flourished since. There are traditional native species like muskrat, beaver, red squirrel and raccoon, as well as herds of wild cattle and black bear. Marine life includes seals, dolphins, and porpoises, with California grey whales and northern fur seals migrating through the area in May and June. The Tow Hill hike is an easy, approximately one-and-a-half-mile route that winds through temperature rainforest, surrounded by countless ferns and salal bushes. A boardwalk will bring you to the two-million-year-old volcanic plug known as Tow Hill, which rises from the flat bogs at the mouth of the Hiellen River, providing a stunning vista along the curve of North Beach. It’s this spot Haida legend says was the site of creation, with a raven bringing people into the world by coaxing them from a clam shell. The Blow Hole trek is accessed by a wheelchair-accessible boardwalk that runs alongside the Hiellen River at North Beach. It leads to a viewing platform which overlooks basalt rock formations with tidal pools that teem with marine life like bat stars, shore crabs and periwinkles snails. Any given pool typically hosts a kaleidoscope of life here. The Blow Hole, also known as “the gun”, is a natural channel that fills as a wave pushes water in. The pressure creates a geyser of saltwater that soars as high as 23 feet under the right conditions. East Beach Trail is a 55-mile route in Naikoon Provincial Park that generally follows the shoreline without a real defined trail, but it’s easy to navigate, taking about three to five days to complete. This is where there are frequent reports of wild cattle sightings – cattle that are said to descend from the free-ranging cattle left behind by settlers. The small, shaggy animals are referred to by the locals as “hippie cows.”If you’re short on time, you can hike a portion or that or take one of the many shorter treks like the Cape Fife Trail, a little over six miles one way, or the Pesuta Shipwreck Trail, 3.2-miles each way. Both link to the East Beach Trail for a single day of hiking, with the latter leading to the over 262-foot-long wreck of Pesulta. In 1928 the barge was battered by a winter storm, with its remains now lying north of the Tlell River on East Beach. Along the way you’ll walk through the moss-draped trees in the rainforest, watching for the wildlife that abounds along the way. No matter which route you choose, hiking here is a great way to get away from it all, with far more wildlife typically seen than other people with the exception of the trailheads. Anglers from across the globe visit Haida Gwaii for its world-class fishing opportunities. There’s no need to haul all your gear as more than two dozen charter companies are available to bring you out to fish for salmon and halibut, as well as crab and shrimp that are some of the tastiest you’ll find. Fishing lodges like Langara Fishing Lodge on Langara Island offer all-inclusive packages that include comfortable accommodation, dining on gourmet fare, and guided or unguided fishing experiences. As you fish, you can also enjoy spectacular whale and other wildlife watching among the untouched beauty of the ancient islands. 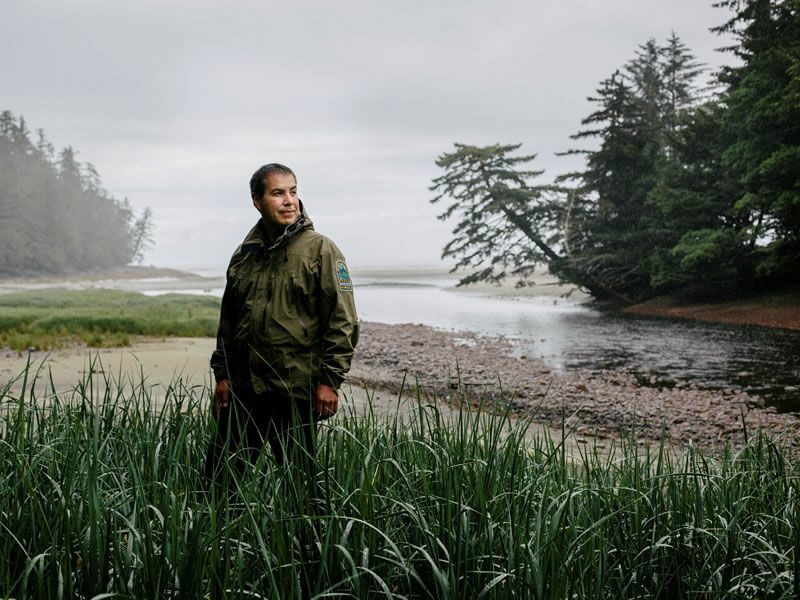 Haida Gwaii is the feeding ground for wild Pacific salmon migrating to their spawning grounds. They’re famous as some of the world’s best tasting wild salmon passing through in their peak form from early May through late September. Fish for halibut from March through September. Freshwater fishing opportunities are abundant as well. Mayer Lake and Tlell River are some the most accessible freshwater fishing, located in Naikoon Provincial Park near Tlell. The Tlell River is renowned for its outstanding cutthroat trout fishing in July and August, with catch-and-release fishing only between September 1 and June 30, just below the Highway 16 bridge. There is excellent steelhead fishing and huge fall runs of coho salmon too. The Yakoun River, the largest river on Graham Island, situated south of Port Clements, offers good year-round fishing for cutthroat, dolly varden and rainbow trout, and is the only stream system in the archipelago that naturally supports chinook salmon habitat. Mamin River, west of Port Clements, supports a good run of coho between mid-September and mid-October. Fishing is fantastic on Moresby Island too, with the best lake fishing on Skidegate and Mosquito lakes near Moresby Camp. Test your luck and skills here by fishing for dolly varden and cutthroat trout. If you arrive in the spring, the Pallant River that flows out of Mosquito Lake boasts a good steelhead run. For early fall visitors, the Coho Salmon Derby is held on the sandspit across Skidegate Inlet at the northern tip of the island for consecutive weekends in late September, coinciding with the return of the silver coho, and is open to anglers of all ages. The event allows visitors to enjoy some of the best fishing the Sandspit area offers, and after it’s all said and done, the famous Coho Derby Dance follows – a great way to take part in some of the local culture.